The first and only icon pack developed for transform the icons of any device, in the better style you have ever seen. 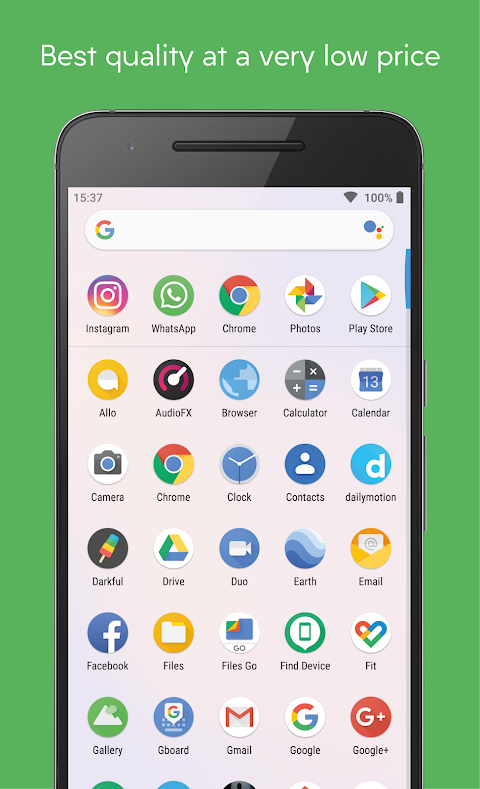 • This is not an official product but it's developed by Ciao Studio to give a harmonious and clean look to any device; • This is an icon pack and requires a custom launcher to work. 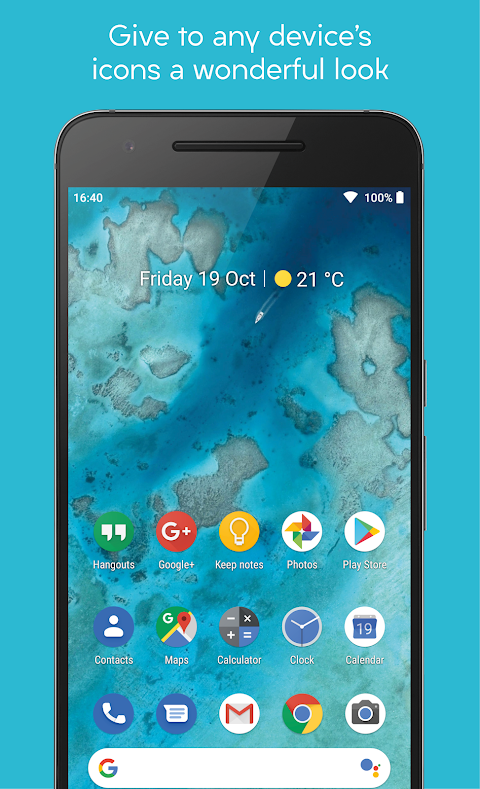 Pixel Launcher or any other launcher that is factory installed do support icon packs (except LG Home, Xperia Home, OnePlus Launcher and Asus ZenUI). There is no possible way to support a launcher that doesn't support theming options. Please do not ask regarding this matter; • LG Home doesn't support icon packs with a lot of icons and LG breaks support to standard icon packs in Nougat system based. • The true first icon pack with a Pixelful look; • Best quality at a very low price; • More than 4200 icons inspired by Android 9.0 style; • High resolution icons good also on 2K screens; • The only one where the icons are not distorted but remain faithful to the originals; • Turn every icon in rounded style thanks to icons masking for unthemed icons; • 160 great high-quality wallpapers available on cloud; • A lot of alternative icons to choose from; • Supported by a lot of Launchers; • Built-in request tool for request missing icons; • Frequently updates with new icons; • Supported by Muzei Live Wallpapers; • Supported by Zooper Widget with a Material style exclusive widget; • Dynamic calendars icon according to the day of the month (on launchers that support it). From Pixelful Icon Pack you can select the following launcher: ABC, Action, ADW, Apex, Atom, Aviate, Evie, GO, Holo, Holo HD, LG Home, Lucid, M, Mini, Next, Nougat, Nova, Smart, Solo, V, ZenUI, Zero. 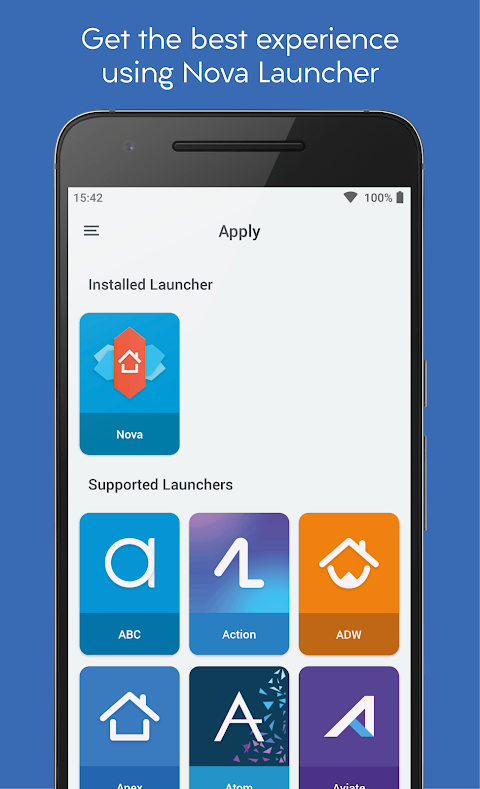 It can also be used in many more launchers that support icon packs but aren’t specified within the application itself, for example: Arrow, ASAP, Cobo, Flick, iTop, KK, Lawnchair, Line, Mesh, MN, N, New, Open, Peek, S e Z Launcher, in Xperia Home and in CyanogenMod Theme Engine. • In each update, icons are updated and new ones are added, based on users requests made using the dedicated built-in tool; • After making an icons request, you need to be patient because every day are received a lot of them; • The requests are analyzed and the icons are added for apps which meet certain requirements like having a good number of downloads. 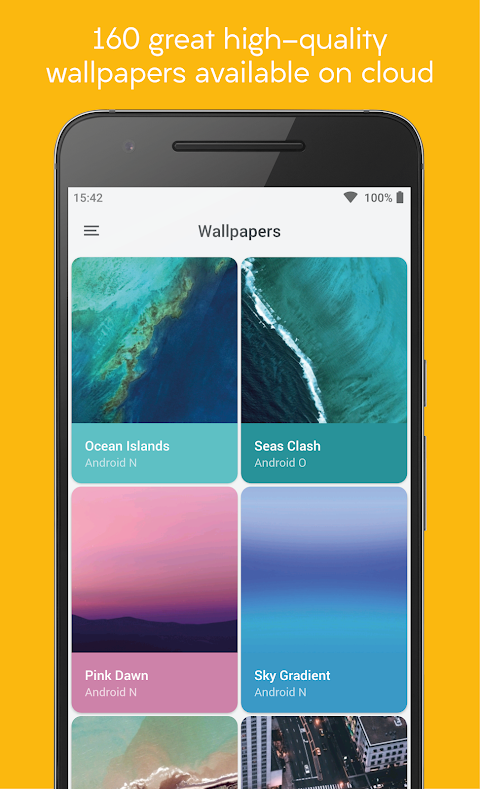 To get the same style of screenshots, you have to follow these steps using Nova Launcher: • Desktop -> Width padding -> Large • Desktop -> Searchbar style -> Select the one in the screenshots, trasparency 20% • Desktop -> Page indicator -> Line • App & widget drawers -> Swipe to open -> On • App & widget drawers -> Card background -> Off • App & widget drawers-> Background -> White, trasparency 10% • Dock -> Dock Background -> Rectangle, white, trasparency 60% • Dock -> Searchbar in dock -> Below icons • Dock -> Width padding -> Large • Folders -> Folder background -> Select the first Thanks to Axi K. for some icons designed for us by him and to Dani Mahardhika for CandyBar. 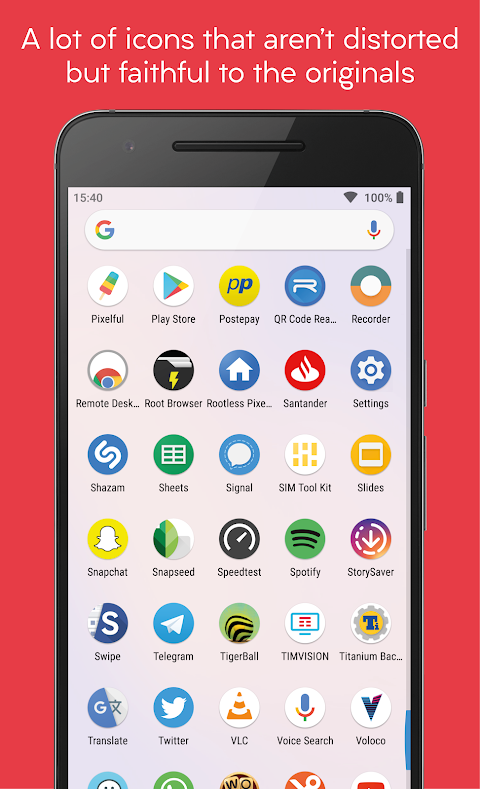  Is Pixelful Icon Pack - Apex/Nova/Go yours? Claim it!